Jewelry Days.com Official Blog: Power bracelet makers admitted there is no science behind their products! Power bracelet makers admitted there is no science behind their products! Happy Friday! I hope everyone is having a great day so far! The week is almost over, Do we have any plans for the weekend? 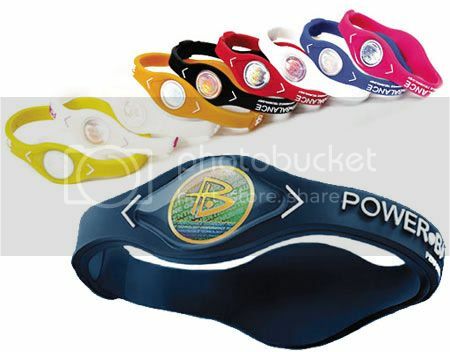 Anyone familiar with the "Power Balance Bracelet"? I am sure most of us have seen it! celebrities and athletes wear them and admits that it gives them source of power or some kind of strength. Recently the company admitted that there is no scientific explanation behind their wristbands. •How Does the Hologram Work? Power Balance bracelets, the popular performance accessory worn by athletes including Drew Brees, Kevin Durant and Kobe Bryant,provide no scientific edge, the company confessed this week. The California-based company was forced to admit the lack of evidence supporting its claims of natural power after coming to an agreement with the Australian Competition and Consumer Commission, the Associated Press reported. Athletes who wore the bands insisted they provided a boost. Science said otherwise.